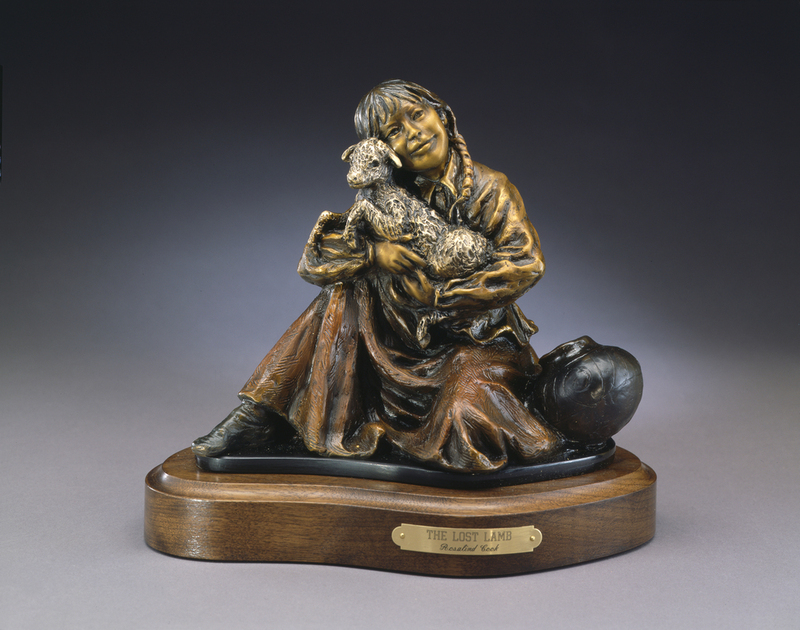 This depicts a Navajo child and her lamb. Beside her is a Zuni pot which I added to enhance the composition. This young Navajo girl is dressed in traditional clothes. The Navajos raise sheep and goats. She has obviously made a pet of one of her flock.